Capcom Unveils Decapre’s Backstory. You Can Read If You Want. Are you the kind of player that wants to emotionally invested in the characters you are playing? Are you the kind of player that needs a story to explain everything? Well, Capcom has obliged by releasing info for their new character “Decapre” As you know this character is in the midst of controversy. She was revelaed over R.Mika and Retsu as the final Ultra Street Fighter 4 character and people got pissed. But mostly the people that have no interest in Ultra Street Fighter to begin with and was looking for something Capcom related to complain about and paste Megaman all over it. 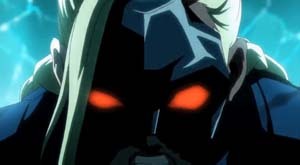 Coming from a guy who is interested in Ultra Street Fighter 4, Decapre is a Cammy clone in the narrative sense only, she plays completely different than her….”Sister”. She is a charge character, has different moves and different Ultras than Cammy. I don’t like her myself because Cammy is an overused, overpowered character and the last thing we need is more of her. Hey everyone, Tomoaki Ayano here! Last Sunday we were finally able to reveal Decapre to the world! From the producer, Sugiyama-san, showcasing her gameplay on Hagi Toko!, to the vids Combofiend has released there’s plenty of media to check out so that you can get a feel for this new character. We plan to talk more about her play style and abilities in the future, but for today we’d like to explore her story. 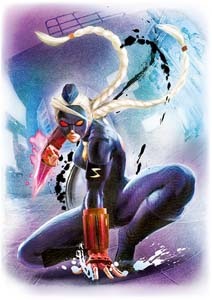 For those not in the know, Decapre is a clone of Cammy. 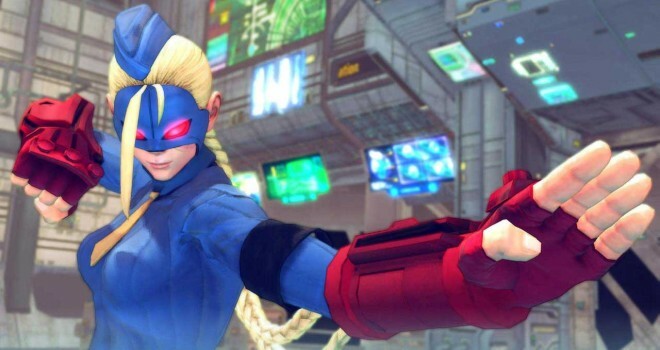 At a quick glance she does look like a scary Cammy with a mask. This is the main poster. We’ve brought out the aura around her braids and her claw is glowing, perhaps reflecting the owner’s intent. And check out the background—are those dolls in those capsules?! 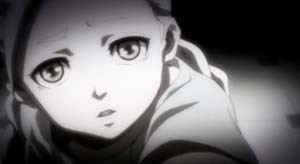 Speaking of capsules, there was something similar in one part of her opening movie. Decapre was also inside one of these capsules. Could this be where the cloning process takes place? The mystery deepens. Is this Cammy as a kid? It looks like she’s talking to Decapre. We can guess that the two have met before in the past. Kid Cammy doesn’t quite have the stern look that she’ll eventually develop. She looks much more innocent! 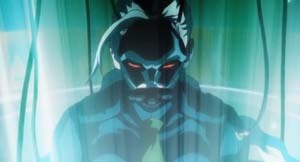 However, it seems that Decapre harbors an intense hatred towards Cammy. What could have happened between the two? 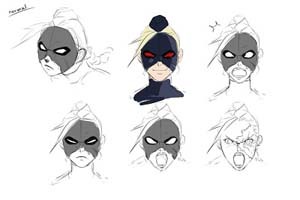 Speaking of angry, when you look at her development sketches, it seems she’s mostly either screaming of frowning. And what’s with that scar underneath her mask?! Despite being Cammy’s clone, her facial expressions differ quite a bit and she feels younger in general. Just who is she? And what will happen between her and Cammy?! Perhaps the opening and ending movies might just shed a little light on the subject. 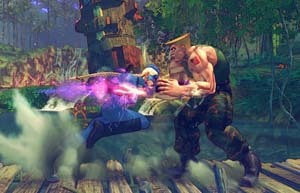 Even though Decapre has movements similar to Cammy’s, she has her own unique set of special moves, and she primarily uses her dagger in attacking. With its reach, it will probably give her an advantage in mid-range battles. Since she’s fundamentally a charge character, the key to using her effectively will be finding ways to attack while storing up charge. Rapidly pressing the punch buttons causes her to run forward while attacking with her blades. This could be a good way of moving forward while storing charge! 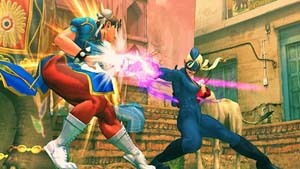 This is a charge character who is quite different from the likes of Bison and Vega. In the future we’d like to take a closer look at her moves, but that’s it for today.